Click here to see the poster! 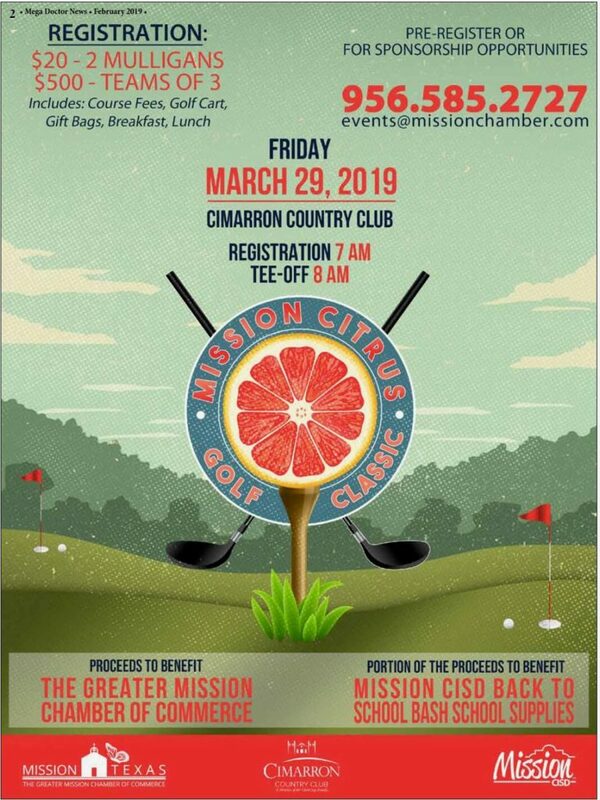 MISSION, TX – The Greater Mission Chamber of Commerce is calling all golf enthusiasts to join them on Friday, March 29, 2019, for their Mission Citrus Golf Classic being held at the Cimarron Country Club located on 1200 S. Shary Rd. Mission, TX. 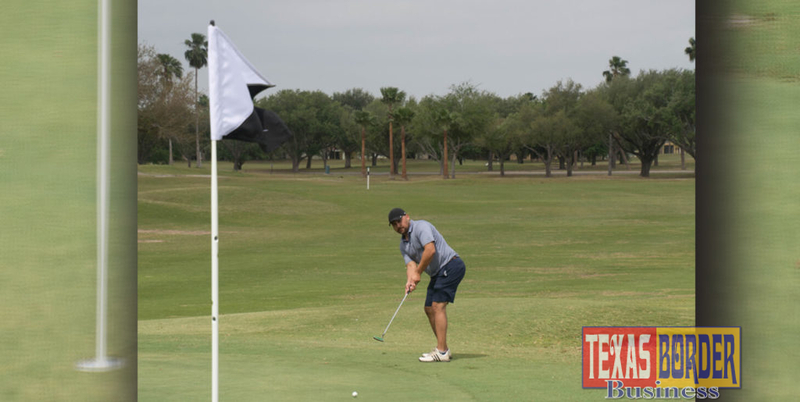 The 18-hole, 3 man team Florida scramble-style golf tournament will help generate funds and assist the Greater Mission Chamber of Commerce to provide continual support and services to the local business community. A portion of proceeds will be used to assist Mission CISD’s Annual Back-to-School Bash event, by providing thousands of backpacks and supplies for the upcoming school year to families and students. Registrations are open starting with $500 team of 3’s which include course fees, (1) golf cart, gift bags, breakfast, and lunch. For more information on participating as a sponsor or team, please contact [email protected]or call (956) 585-2727.